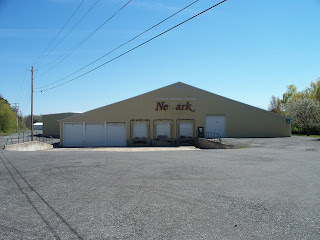 The commercial greenhouse, formerly known as Newark Floral, is currently undergoing major renovations and improvements. The 315,000-sq. ft. greenhouse space was originally constructed for the use of indoor growing, processing, storage, and shipping of plants. It will continue to be used for these purposes by the non-profit organization, Virginia Conservation Legacy Fund, Inc. (VCLF), to grow tree seedlings as part of a much larger mission. The Earth Restoration Project (ERP), headquartered at Virginia’s Natural Bridge Park, is a collaborative effort of VCLF, community groups and national/international organizations dedicated to the conservation, preservation, and protection of the land and environment. Global reforestation is one of the many projects being implemented by VCLF’s environmental team to support the organization’s mission. The NY greenhouse is an integral component to their global reforestation project. Millions of trees will begin their journey here in NY. 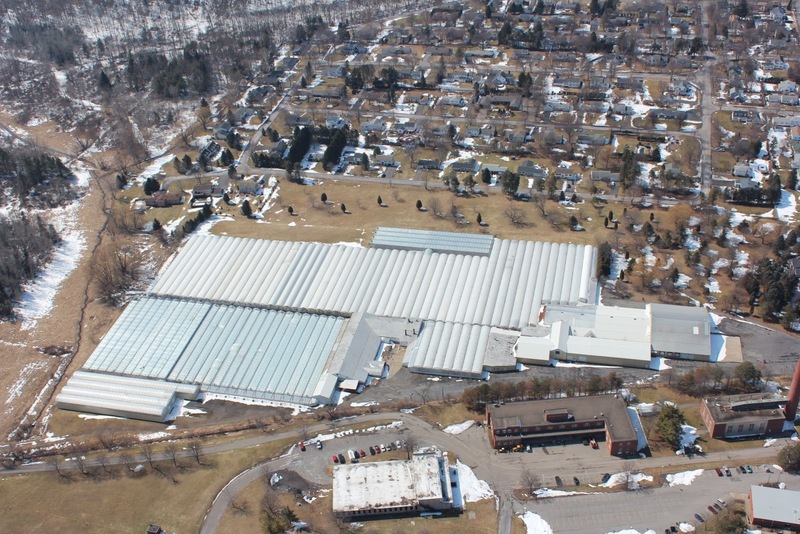 Since its closing in 2012, the former Newark Floral greenhouse has fallen into disrepair and requires a significant amount of hard work to restore it to operating condition. Despite its current state, Tom Clarke, President of VCLF, decided to take on the enormous project of rehabilitating the greenhouse. Clarke has been involved in various large-scale projects across the country, including the purchase of failing coal mines so they can be reclaimed, and the acquisition of threatened spaces in Virginia to eventually be adopted by the state. Greenhouse Manager, Laura Bailey, grew up in the Finger Lakes Region and is excited to join VCLF’s greenhouse project in NY. Bailey is passionate about growing trees for reforestation efforts and looking forward to doing it where she grew up. She has been working with local businesses for repairs, supplies, and services and says, “the local community and businesses have been very welcoming and I look forward to working with them and developing strong relationships.” Mayor Jonathan Taylor agrees stating, "We are very excited to have VCLF here in Newark. We share a vision with VCLF, and look forward to having the greenhouses up and running again, providing more jobs in our community." With winter quickly approaching, winterization of the greenhouse facility is the first priority. Much of the poly sheeting is torn or gone from the roof and walls, allowing wind, rain and snow to enter the facility. Once the structure is enclosed, repairs within the facility can begin. 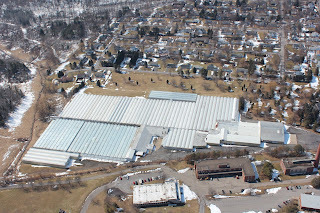 The glass greenhouses on the east side of the building are projected to be the first houses ready to plant in. Tree seeds in need of stratification to induce germination are currently undergoing this process to prepare them for planting within the next few months. 0 Comments to "Former Newark Floral Facility Taking on New Mission"